This photo does not really have to do with the post. 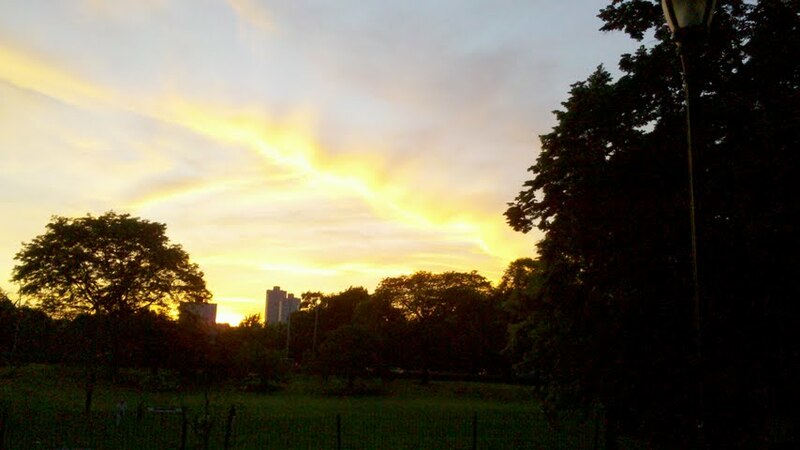 But Friday night the sunset beyond Riverside Park was so lovely. Chatting with Joe, the financial advisor, I discovered something — our resources are finite! That’s amazing. Like my energy level on a Sunday night after a long weekend, I cannot go on indefinitely and neither can our financial hemorrhaging. I have blogged about how I am oblivious to money. https://mbcoudal.wordpress.com/2011/03/03/stocks-and-numbers/ Money comes, money goes. I shrug; I could care less. Bills get paid. Groceries are purchased. What else do I need to know? Um, a lot. I am supposed to save for college, retirement, Chris’s more immediate chronic health care needs. I am supposed to notice how we spend. I am trying to get a clue. The good news was that we do not have any debt. The bad news is that we do not have the proverbial emergency liquid fund. But my big aha? Resources are finite. I have always bought into the New Age notion that money is energy. When you need more, you insert yourself into an abundant stream. To me that idea of an infinite universe is more appealing than a finite universe. But it may not be as practical. Or fund the kids’ college and all that.